HIGH PROFILE PARTNERSHIPS STIMULATE $270,000 TO SUPPORT PRACTITIONERS AND GENERATE NEW NON-FICTION CONTENT. The Australian International Documentary Conference is proud to announce that, as a result of high profile industry partnerships with Google News Initiative, Audible, SBS, BBC Studios, Create NSW and Beach House Pictures, AIDC 2019 will unlock over a quarter of a million dollars in project development, commissioning and professional development funds to support the creation of new non-fiction content and practitioners. With $180,000 in funding committed to AIDC marketplace pitches, and $90,000 in professional development initiatives for Australian documentary and non-fiction practitioners, the partnerships and programs developed for AIDC 2019 will actively facilitate new work, new talent, and new pathways to industry growth. > AIDC’s first-ever audio documentary pitch, Sound it Out, with Amazon company Audible offering up to $10,000 in development for new original audio documentary series. > An AIDC-first data journalism pitch, Raw Data, Real Stories, with Alphabet company Google News Lab putting $60,000 on the table to commission an innovative new data journalism work. > SBS also joins AIDC to offer documentary practitioners the opportunity to pitch for up to $60,000 in development funds for one-hour documentaries for Season 5 of the Untold Australia series. Furthermore, the VICE/Screen Australia short documentary initiative Pitch Australiana returns for a second year, offering up to $50,000 for the successful project and ensuring that diverse Australian stories continue to be developed and made. These funding opportunities complement the potential commissions, development and sales deals resulting from AIDC’s curated pitching market, Cut to the Chase, which efficiently matches producers and decision makers for productive meetings. Over 45 national and international decision makers will attend AIDC 2019 searching for new content, including representatives from the BBC (UK), Discovery (UK), NHK (Japan), Cinereach (USA), Yle (Finland), SVT (Sweden), Knowledge Network (Canada), Submarine (USA), Visions du Reel (Switzerland), and many more. We are also pleased to announce the attendance of new decision makers from SKY TV (NZ), ARTE (France), and the first-time attendance of Tencent (China), makers of QQ and WeChat. Delegates must be registered with an All Access or Gold Pass to participate in the marketplace and pitch projects in Cut to the Chase, with project submissions closing Thursday 31 January. > the Unscripted International Producer Placement (UIPP) in which BBC Studios and Create NSW are providing $50,000 to support a NSW-based documentary practitioner to work with the BBC Studios UK documentary team. > Beach House Pictures have again come on board to provide a four-week internship in Singapore for one participant to win AIDC’s ACCESS mentorship program, with all travel, accommodation and expenses covered (valued at $15,000). > And finally, for the second year running, our philanthropic Leading Lights Fund has raised $25,000 from generous industry donors to enable 40 emerging, Indigenous, and Culturally and Linguistically Diverse (CALD) practitioners to attend AIDC for the first time. AIDC’s professional development programs continue our commitment to providing career-defining opportunities for diverse voices and perspectives in the non-fiction sector. 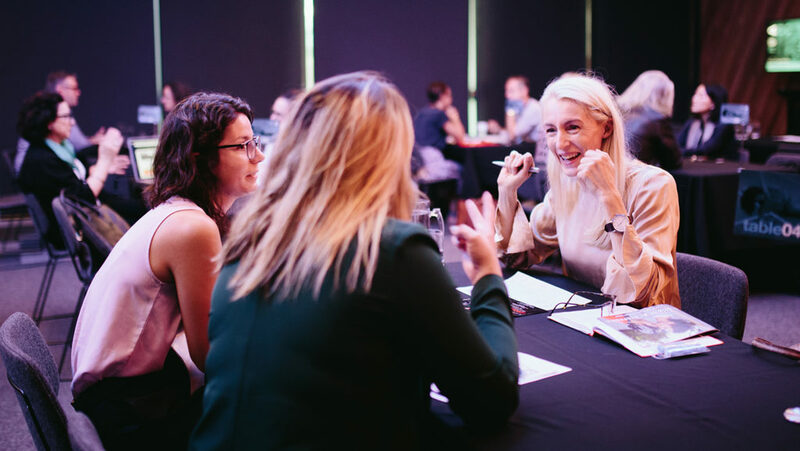 "A HUB FOR NEW CREATIVE AUSTRALIAN NON-FICTION"
“AIDC’s vision is not just to exist as a marketplace or a conference, but rather to stand out as the hub for new creative Australian non-fiction work to thrive,” said AIDC CEO & Conference Director, Alice Burgin. Complementing the marketplace and professional development initiatives, the full AIDC 2019 schedule of sessions, masterclasses, and panels – alongside a new and expanded public screening program – will be announced on Wednesday 6 February 2019. High profile speaking guests already announced include Diane Weyermann (USA, President of Documentary, Participant Media), John Brown (UK, cinematographer, Planet Earth II, Dynasties), Caro Meldrum-Hanna (AUS, journalist, EXPOSED: The Case of Keli Lane), Sandi Tan (USA/SNG, director, Shirkers), Gabrielle Brady (AUS, director, Island of the Hungry Ghosts), Tom Brisley (UK, Head of Arrow Media), Tea Uglow (AUS, Head of Google Creative Lab) and many more. A variety of pass types covering access to the marketplace, networking opportunities and the session program are available now. To download this media release as a PDF, please click here.